In the fall of 2017, New York allergist Dr. Scott Sicherer published a thoroughly updated edition of his book: Food Allergies: A Complete Guide for Eating When Your Life Depends on It. 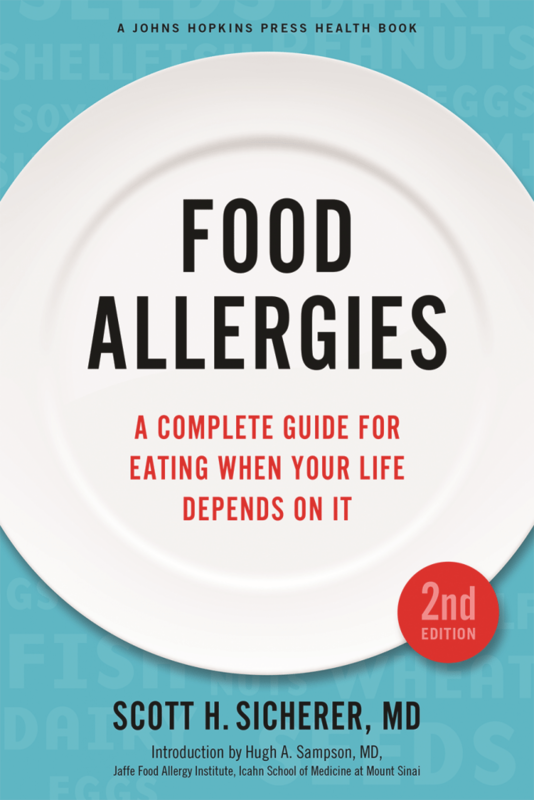 In the book, Sicherer answers about 1,000 food allergy questions in an easy-to-follow format. In the following Q&A, Allergic Living editor Gwen Smith lobs several of our readers’ questions at the specialist, who replies with informative and sometimes surprising answers. Gwen Smith: Let’s start with the resistance to using an epinephrine auto-injector when a person is experiencing anaphylaxis. We often hear about this. What can you tell parents about how to get past the fears they may have? Dr. Scott Sicherer: This is a big issue. There’s never a study that comes out that says: “People are over-using this medication.” Or even that they’re using it as much as we think they should. In terms of why you should go ahead and use it: It’s safe, given in the auto-injector amounts. People need to understand the safety, the reduced need for additional medications or hospitalization, and obviously the life-saving potential of epinephrine. If you use it and you didn’t need it, nothing bad should happen. You might feel like you’ve had too much coffee. The side effects are increased heart rate, you might look a little flushed or pale or have a little headache, but all of those things go away quickly. People generally just feel better from it. That said, I’ve yet to meet a child who says, “yes, please give me a needle.” How do you help kids not be so fearful of the auto-injector? SS: We have that discussion in the allergist’s office. I wouldn’t be lying to anybody, it is a needle. It feels like a little pinch, but it makes you feel better. If you’re having trouble and you don’t feel well, it’s going to make you feel better. For children of any age, I feel there should be a supervising adult who’s ultimately responsible. But at some point there has to be a transition to self-care, as kids grow older and more independent. Having the conversation is important. We recently did a study having teenagers practice self-injection with an empty needle and syringe, just to get to the idea of: “Can I get a needle into myself?” The teens who participated and the family felt much more comfortable after that. 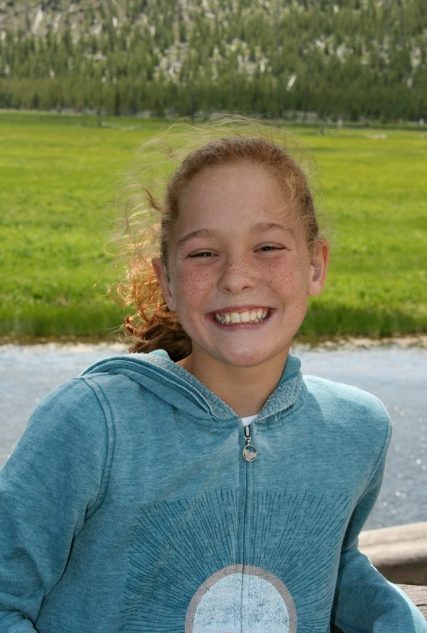 At Allergic Living, we receive many questions about foods of the same family. Here’s one: If a child is allergic to one legume, like either peanut or soybean, are they likely to be allergic to related foods like peas or beans? SS: Usually not, but there are always some exceptions. Sometimes people who read your magazine fall into that that exception category. But from a population standpoint – about 1 in 20 will end up with other bean allergies. I also like to think of the fact that certain beans are more potent than others. For example, when it comes to someone who already has a peanut allergy, the beans that a bit more commonly trigger problems are green pea, chickpea, lentil and lupine. Certainly you can have allergies to those beans without a peanut allergy or soy allergy, but those just tend to be the more potent ones. Other beans – like black bean, kidney bean, white or cannellini bean – they don’t come up as often. I don’t have a lot of data on this but, once you have someone starting to react to beans as opposed to just having a peanut allergy, then we start to worry about beans in general. You know if someone is reactive to chickpeas, we start to worry they would be reactive to lentil. Whereas, if they’ve already tolerated several beans, then we usually don’t think about it anymore. How about this relationship: If my child reacts to dairy milk, will she also react to beef? SS: A study a while back suggested that about 1 in 10 people with a significant milk allergy would react to beef. I think it’s probably less than that, really. But the proteins that in the cow meat have some similarities to the proteins in the cow milk. Therefore, the people who are very reactive to milk may be more likely to be to react to some of these proteins that are residual. Now cooking the beef does break down the protein as well. 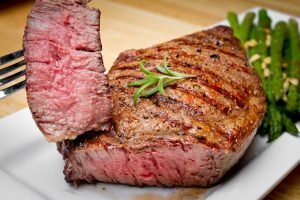 So sometimes we find that someone with a significant milk allergy will have a problem with beef, but only if it’s steak where there’s some redness and blood. Whereas they might have not a problem if it’s meatballs or meatloaf or a hamburger that’s cooked through. The high estimate of cross-reactivity with someone with milk allergy is 10 percent for beef, but there are these nuances. [The cross-reactivity] is not that common. Unless it’s an exquisite milk allergy or unless there’s some hint that there’s a problem, we don’t usually pre-test for beef allergy. What about egg allergy? People often ask: Am I allergic to the egg white, the yolk or both? SS: The egg white is where the major allergen is. However, we don’t typically recommend to someone with a significant egg allergy to try to separate the egg – because it’s too hard not to have any white in your food. The big news on egg allergy is, in food studies which were started here (Mount Sinai Medical Center in New York), about 70 percent of kids with an egg allergy can tolerate it in baked goods. We believe it’s because of the extensive heating in a bakery good. If you just took an egg and put it in the oven, it doesn’t cook in the same way as when it’s an ingredient in a muffin, which expands and has air cells and gets a lot hotter in the oven. That extra cooking seems to break down the protein enough that a lot of people can get away with eating it. And it may be that those who can and do eat it are also more likely to outgrow it in the long term. For those with an egg allergy, talk to your allergist about whether it would be OK to add baked egg to the diet. That’s typically done through a supervised food challenge, because it potentially could still cause anaphylaxis. If you turn out to be in the 30 percent who are going to react, then the allergist should be supervising. Another food relationship question. With cashew allergy, a lot of people wonder about problems with relatives to this nut food family, such as mangoes and pink peppercorns. How can you know if you have this issue? SS: That’s a very nuanced one, and most people do not have a problem with these related foods. But let’s start with the fact that cashew and pistachio typically go together. They have very similar proteins, and I would look at cashew as being usually the more potent of the siblings. So someone who has a cashew allergy sometimes gets away with tolerating pistachio. But most people with a pistachio allergy don’t get away with tolerating cashew. There are obviously exceptions, but usually a person has cashew and pistachio allergies. There are other things in this anacardiaceae family, such as mango. But the fruit of the mango is not cross-reactive with the nut of the cashew, so there usually isn’t a problem there, they just happen to be in the same family. There isn’t really a homologous protein in the flesh of the mango. That’s typically not a problem. Then you mentioned the pink peppercorn, which is not a routine peppercorn. It is in that same family, and there are just a few reports of problems among people with cashew allergy. It’s not a very common food, so I would typically tell someone with cashew allergy, don’t bother with it. In the book, you also raise the issue of pectins. This was news to me. SS: This gets a little more anxiety-provoking, and most people are not going to have a problem. We’ve seen some reports of people with cashew allergy reacting to foods that contain pectin. Pectin is a fruit-derived product, but it may carry some seed protein that cross-reacts with cashew. 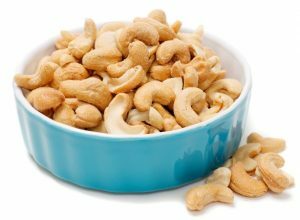 When there is an issue, it tends to be people with very significant cashew allergy. The average person with cashew allergy is probably never going to have a problem with pectin. But some people who super, exquisitely reactive to cashew might. The other anxiety-provoking nuance with cashew allergy is citrus seed proteins. Now we don’t typically eat orange or grapefruit seeds, but there are some reports of people reacting when they have eaten them – you probably have to chew them up to some degree. Again, those tend to be people who are exquisitely allergic to cashew. And the reactivity probably has to do with homologous proteins that are in some of the citrus seeds. Would it be just grapefruit and orange? 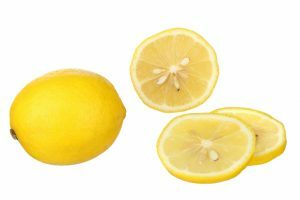 What about lemon seeds? SS: Any of them. Over the years, I’ve had a number of mystery cases where someone knows they have a nut allergy, but has reactions to some oddball things, such as a fish meal. I’d say “you probably have a fish allergy,” and we’d look into it and the person did not have a fish allergy. Then I’d say: “What else was with the fish?” And the person says, “lemon sauce.” OK.
Then I ask, “Was there sliced lemon on it?” The answer is yes. “Could you have eaten some of that?” Again, yes. This is a person whose cashew level is 100 and who is very, very allergic to cashew and everyone’s swearing up and down there’s no cashew in the meal. But at the end of the day, it there was sliced lemon or broken up seeds in the meal, and the person ate some seeds. Again, most people with cashew allergy are never going to have a problem with this. Let’s talk a little about reactions. Some people seem to think that all food allergy reactions are anaphylaxis and all are life-threatening. But aren’t there more often mild reactions? SS: Yes. The vast majority of reactions would not fall into an anaphylaxis category. Part of that is also because the most common form of food allergy is called the oral allergy syndrome [OAS], or pollen food-related syndrome, which is mostly an oral sensation – itchy mouth, maybe itchy lips, sometimes a bit of lip swelling and itch in the throat – from a variety of raw fruits and vegetables that have proteins in them that are very similar to the proteins in airborne pollens such as birch pollen and ragweed pollen. That may affect up to 10 percent of the population. Those reactions aren’t often severe. When it comes to reactions to the foods that are classical for causing anaphylaxis or severe allergic reactions – milk, egg, peanuts, tree nuts, fish and shellfish and others – many reactions may just be hives or might just be stomach problems, so those don’t qualify as anaphylaxis either. But the issue is being on guard, particularly if you have allergies to the classic allergens I mention, there is a potential for more significant reactions. That’s where the concern comes up. I don’t have exact numbers on it, but even with these, the majority of reactions aren’t going to be anaphylaxis. Why might one reaction be mild while another is severe? If the person has asthma, they are more likely to lung responses along with their allergic reaction, and that increases the severity on a per episode basis. There’s the person’s sensitivity the food. Some people are just more reactive than others in general. The amount that’s eaten is a variable, because not everyone reacts to a trace amount. There’s a wide variety of thresholds that people might have. You might be sensitive to a small amount or a large amount, but if you’re sensitive to any particular amount, and then you eat much, much more than that threshold amount, you’re going to have more symptoms than if you had a smaller amount. Then there’s some personal activities that may increase sensitivity on any given day. If someone is ill with a virus, for example, that is a potential eliciting factor that makes them more sensitive on other days. Exercise may make someone more sensitive. Having alcohol with the food may make someone more sensitive; menstruation may make someone more sensitive on any given day. And taking aspirin-type medications [NSAIDs] may, may make someone more sensitive. These factors probably work by affecting the hyperactivity of the immune response and also affect digestion, and whether the food is going to make it to the bloodstream more quickly or not. All of those variables can change the potential threshold or severity on any given occasion. You and I have spoken in other articles a lot about the Learning Early About Peanut study or LEAP. It showed the early introduction of peanut in high-risk infants led to an eye-catching 80 percent reduction in peanut allergy. I see you have updated your book to cover the new thinking that’s emerged from this study. SS: Absolutely. The book’s prevention section is entirely differently in the new edition. So yes, the LEAP study gave us hard evidence about earlier introduction of peanut, at least for the high-risk group that was evaluated in that study and led to some preliminary recommendations. Then in January of 2017, the expert panel report, which was sponsored by the National Institutes of Allergy and Infectious Diseases, recommended early introduction of peanut for children at risk [and issued physician guidelines]. For the highest risk group, the recommendation was probably to test them to make sure they’re not already allergic to peanut, but then to get peanut in as early as 4 to 6 months of age. But if introduction doesn’t happen at 4 to 6 months, that’s fine, it will happen. But as long as it’s not being delayed, and the child will get evaluated whenever they get evaluated. The point is to get peanut into the diet if they’re not already allergic. Then there’s the middle [risk] group, in which the children have some eczema and the guideline doesn’t push as hard to get into that 4-to-6-month window, but rather as early as 6 months of age. In this case, it may be without pre-testing, but this would be up to the physician. Then there’s the “everybody else” recommendation where the guideline doesn’t give a specific age range, but emphasizes that peanut should be given, introduced early and, depending on family preferences, it would be basically be treated like other solid foods being introduced into the diet. There is some confusion on the topic of what is a “high risk” for food allergies. In LEAP, which looked at peanut allergy, the authors defined this as a baby who has moderate to severe eczema or egg allergy – or both. People ask about family genetics – “What about my husband having allergies, or my child’s sibling?” So what is high risk? SS: It’s a good question because there are different levels of “high risk”. Some people might think that if the population risk is 1 percent and the risk is 2 percent then that’s double the population risk, but it’s still only 2 percent. Is that high risk? The answer is no. But in this case, the first guideline I mentioned, the one that probably includes testing and getting peanut into the diet early very purposely, it uses the severe eczema or egg allergy or both scenario. That is what they used in LEAP, where they were purposely looking for the highest-risk group. Now one could say, “But I have a child who has moderate eczema and a milk allergy, isn’t that also high risk?” And the answer is yes, it is. Or my answer is yes, it is. A lot of kids may not have even had egg at the age [4 to 6 months] this is aiming for. They may have had milk and had a reaction to that, and to me that would still put them in a category where you would consider them for this purposeful, early peanut introduction with the worry that they may already be allergic, which might lead you to some testing. In terms of family history of an allergy, the more people who have allergies in the family, the more eczema there is in the family, the more likely the child would have a problem. But having said that, if the child doesn’t have a speck of problem, no skin rash at all, that’s going to be a lower risk than a child who has some eczema already. 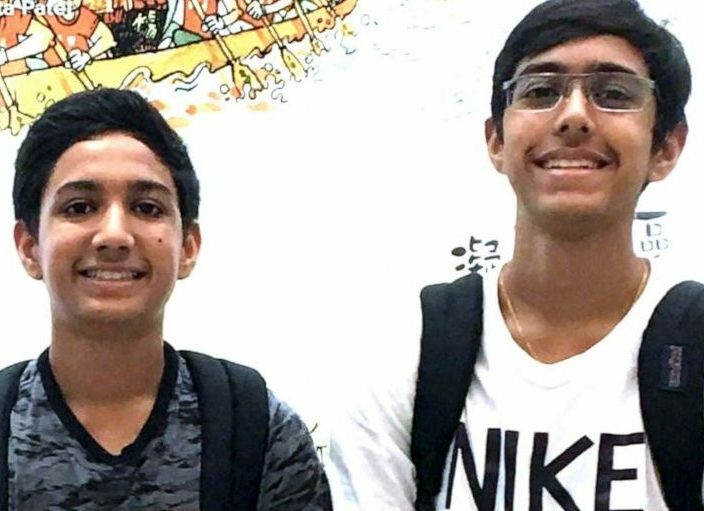 We did a study looking at sibling risk of peanut allergy, and it was 7 percent. But that 7 percent is distributed between some siblings who have no eczema and no sign of any other allergy where they are probably never have a peanut allergy versus the sibling who has eczema, and has some other allergy and they are much more likely to have peanut allergy. So the average sibling risk might be 7 percent, but once you have the baby in front of you, you start to get some notion of whether they are allergic themselves, and that’s going to alter your feeling for their risk level. I think the biggest message from the LEAP study and the guidelines is not to treat these allergens differently than other foods. SS: The approach for this highest-risk group was to give them peanut, a large amount, 3 times a week. So then you can start to ask micro-questions. What if you did the same thing, but instead of giving it 3 times a week, you gave it once every 3 weeks? What if you gave less 3 times a week? What if you gave less once a week? Are these variables that matter, or not? The answer is, we don’t know. So does sesame behave differently than peanut, differently than egg, differently than milk? The answer similarly could be: we don’t know. There’s another study – the EAT study – that looked at more of a general population [as compared to LEAP’s high-risk population]. It looked at trying to get multiple foods into the diet early. One of the findings in that study is that the efficacy of the approach had to do with the amount of protein that was given. It may be that not giving larger amounts, ends up that it’s not doing something preventive. Having said that, we don’t have a lot of message that there’s a downside to introducing these foods as you would introduce other foods. So what do you say to people? Just do what your family would normally do? SS: There isn’t one sentence that’s going to cover everybody. If a child has already shown a reactions to some foods, you start to get suspicious what other foods haven’t they tried that are going to cause a problem. You wouldn’t have that suspicion about foods like apple or sweet potato, you would have those suspicions about foods like cashew and pistachio. Then the question becomes do you have to include each of these foods in the diet in the same way as the LEAP study, which can be onerous because – who eats large amounts of every food 3 times a week? It’s just not a normal diet. You normally wouldn’t have a couple tablespoons of cashew butter 3 times a week. But if they eat it once in a while, will that be a problem? There a lot of unanswered questions. I’m not one to put people on a guilt trip. For my patients, I’m much more into having a discussion that includes practicalities and those include nuances such as: are there other siblings at home who are allergic, what’s doable with the family’s lifestyle, let’s be reasonable with what’s a choking hazard or not. Let’s be reasonable about what foods we’ll want to eat as a routine part of the diet, or not. What is the level of allergy risk and what is the motivation to try things where we’re not sure whether the impact is going to be durable or real. These are complex questions when we don’t have studies to support the answers. But, for peanut, we have at least one good study for at least this one scenario, and probably no harm and possible benefit. Your book is an exceptional resource, for your insights and patient-friendly explanation, and also in the way that’s it’s organized in sections of Q&A topics. I think people will really enjoy how they can quickly find an answer to one question, then return another day for another. What do you want to mention about the book itself? SS: I think the format is what people really like. As you know I’ve been doing the food Allergy Experts column [in Allergic Living magazine] for 7 years and I find the Q&A format is nice for readers because it’s very accessible. There are also over 1,000 questions and answers in the book. I’ve been an allergist for over 20 years, so I tried to incorporate all of the questions that come up in the clinic. People who know me from the [Jaffe Food Allergy Institute] clinic say that when they read the book, they hear my voice and remember me telling them something. They feel like they’re having another visit with me, as they read the book. There are a lot of changes in the years since the first edition, so it was good to be able to get everything was up-to-date and cover all the changes in diagnostics, prevention and these new cross-reactions, and the various new guidelines that have come out. I think it should be good reading for people who are novices [to the disease] or experienced, because I tried to cover all levels on the questions that I get. We also all come out of the allergist’s office with that extra 10 questions we didn’t think to ask. Your book addresses so many of them. Dr. Sicherer, thanks so much for this book, and for the discussion. SS: Well, thanks for covering it. 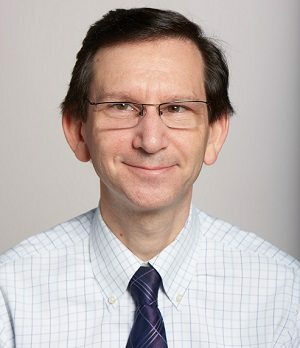 Dr. Scott Sicherer, a professor of pediatrics, is director of the Jaffe Food Allergy Institute and chief of the Division of Pediatric Allergy at the Icahn School of Medicine at Mount Sinai in New York. Read more about the revised edition of Food Allergies: A Complete Guide for Eating When Your Life Depends on It here. Buy the book at retailers or here. Food Allergy Expert column: a sampling of Dr. Sicherer’s answers.